Raffles and Bunny are men-about-town who also commit burglaries. Raffles is a famous gentleman cricketer, a marvellous spin bowler who is often invited to social events that would be out of his reach otherwise. "I was asked about for my cricket", he comments after this period is over. It ends when they are caught and exposed on an ocean voyage while attempting another theft; Raffles dives overboard and is presumed drowned. These stories were collected in The Amateur Cracksman. 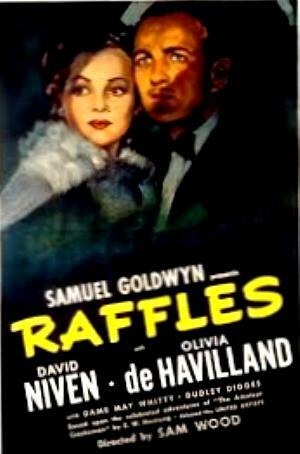 Other stories set in this period, written after Raffles had been "killed off" were collected in A Thief in the Night. Both books are available, free, for Kindle or other electronic formats at ManyBooks: The Amateur Cracksman and A Thief in the Night. In 1930 Ronald Colman played the character in a film that was remade in 1939 starring David Niven.